Most people don’t see it coming when they get bitten by a dog. 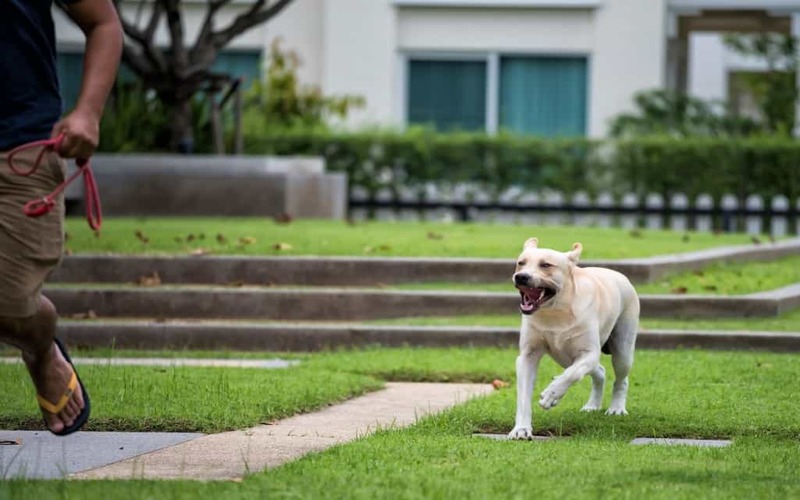 A lot of people don’t see the warning signs when a dog is about to bite, so it can come as a surprise when they attack. However, with a trained eye, you can see even the most subtle of signs that they may be ready to bite. Here are some of the most telltale hints that a dog may be ready to attack. A low steady growl is one of the most straightforward ways that a dog will let you know that they’re not happy. Most people know that if a dog is growling that they should probably back off. When a dog is uncomfortable or feeling anxious, they’ll growl to let you know to back off. If you fail to back away at this point, things will quickly escalate to biting most likely. If you hear a growl, you should immediately give them space, especially if it’s accompanied by showing their teeth snarling. Licking their lips is a less familiar sign for most people. It can indicate that they’re feeling uncomfortable and likely to attack. In addition to licking, they may also yawn. That’s not to say that licking their lips and yawning will always indicate an urge to attack, but if the two are combined along with averting eye contact, then you should know it’s probably safer to back off. When a dog stands stiff and maintains a close eye on your every move this is a sign of them being on guard. You’ll notice that when a dog is happy they move all over the place loosely. However, the minute they go stiff, you’ll notice they are no longer playful or displaying happy behavior. A square posture indicates they aren’t happy with whatever is going on. When a dog’s hair is standing on edge, it’s a sign that they’re one second away from biting you. Just like cats, when a cat’s hair is standing on edge, it means that they’re not happy with their surroundings and feel threatened. Happy dogs eyes are completely relaxed, and you hardly see the whites of their eyes. However, a dog who is about to bite will open their eyes wide, displaying all of it. They will usually lock their gaze, without looking away for even a moment. If a dog locks eyes with you and they are wide, it’s a good idea to try to get out of the situation as fast as possible. Try to avoid making eye contact with them and move away slowly. Otherwise, they may feel threatened and attack.